If you like the idea of wireless presentations using a local area network, then ViewSonic has something interesting for you in their new 3300-lumen ViewSonic LightStream PJD6350 XGA projector. With an official price of $679, the PJD6350 is not the least expensive XGA projector you can buy, but it comes with a lot of features not found in its class. For example, it sports a 10-watt speaker that can fill a medium-sized room with sound where all of its competitors offer just a 2-watt speaker. It also offers optional interconnect capability with IOS and Android handheld devices along with the usual PC and Mac inputs. Of particular interest is what ViewSonic calls its Port All compartment that serves as either the plug-in location for their optional ViewSync WPG-300 wireless dongle or for a second wired HDMI input. All this capability comes at the cost of slightly more size and weight than most of its competitors, but as an offset to those limitations, the PJD6350 comes with a cable management cover that hides the connections to the rear panel and gives the projector a sleek look. And if that is not enough, the PJD6350 offers horizontal as well as vertical keystone, and it has corner correction for those environments where the projection surface is not perfectly flat. The PJD6350 is an excellent data projector, and even though its native resolution is only 1024x768, it puts up a very satisfying video image thanks in part to its 20000:1 contrast ratio rating and its unusual 6-segment color wheel where yellow and cyan are emphasized over the white segments usually found in DLP-based designs. You would expect that a new XGA projector would be pretty good at putting up data images, and the PJD6350 does not disappoint. Colors are vivid, and focus is sharp from edge-to-edge. Even 7-point type was easily readable, and vertical/horizontal keystone correction (±30° each) was effective without reducing readability. The PJD6350's brightness uniformity was excellent at 89% with absolutely no hotspots visible. The surprisingly good video performance of the PJD6350 is more than adequate for classroom and conference room use. The native 4:3 XGA aspect ratio means you would not use it for home theater, but Viewsonic has substantially improved color performance on this class of product. In fact, after a few tweaks of the color management controls, the flesh tones and background detail of complex video scenes was as good as we have seen in much more expensive projectors. Since it is a DLP-based projector, the PJD6350 can exhibit some rainbow artifacts in certain high contrast panning scenes, but these artifacts were less evident than usual. 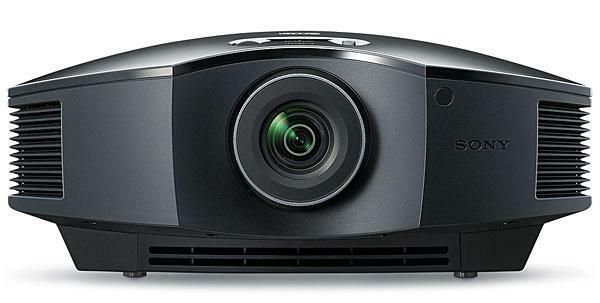 The heart of the PJD6350 is its wireless projection capabilities. Once the vSync software is installed on your PC, the vPresenter Pro application is available to do everything from mirroring what is on your PC's screen to grabbing cloud video or split screening between up to four computers. That same versatility is available with apps for Apple's IOS-based devices as well as Android devices. You can show your audience live camera feeds from your portable devices via the projector, and up to eight separate devices can access the projector. This is not a free option as the ViewSonic WPG-300 wireless dongle costs about $170, but if wireless presenting is where you would like to head, then the PJD6350 is ready for just about any environment you can imagine. Unlike many inexpensive projectors, the PJD6350 has a robust 10-watt speaker that holds up from low to high volume settings without any detectable buzz or rattle. With any ambient noise in the room, a 2-watt can be drowned out in low volume scenes, but that was no problem for the PJD6350. This is one of the few low-cost projectors that has to make no apologies for its audio performance. ViewSonic has done a nice job with its remote control and on-screen menus. Both are easy to navigate, and the remote has its keys clearly labelled and grouped by function. There is an assignable key that you may use to select a regularly used function, and there are several single function keys (e.g., Eco Mode and Color Mode) that make changing formats easy. The six menus are well laid out with little layering. There are all the usual inputs at the rear of the projector including VGA, composite video, and S-video along with one HDMI input and both audio input and output. The Port All compartment handles either an MHL/HDMI dongle or a standard HDMI wired input. Also included are RJ-45 and RS232 connections which are LAN and Crestron RoomView Express compatible, respectively. The PJD6350's maintenance is comparable to its competitors with both its lamp and air filter needing occasional replacement. The lamp life is rated at 5,000 hours at full brightness and a surprisingly long 10,000 hours in Eco mode. A replacement lamp (RLC-092) can be purchased for about $225. The PJD6350 is warranted for three years, and its lamp for one year. In addition, ViewSonic offers its Express Exchange service for free during the first year. Under this plan, if your projector fails for any reason, ViewSonic will ship an exchange unit to you within 48 hours of your notice of failure. Take the Viewsonic lamp life projections with a grain of salt--a large one. There are at least2 ways to extend lamp life; Viewsonic seems to have chosen the most logical course: change the definition of an hour. The clever folk have invented something called the 'equivalent' hour. My experience is that, no matter what mode you're in, the counter races ahead of real time. (Sometimes even when you turn the projector on the counter has jumped ahead of where it was when you turned it off.) I'll be thankfulto get 3000 real hours, at this rate, which would likely put me at about 7000 `equivalent hours`. The reasons for buying a projector remain portability and the theatre like ambience that can be achieved. I've had 6 and all, including one with an LED (altho the jury's still out on my latest LED acquisition) have disappointed in the lamp life category.